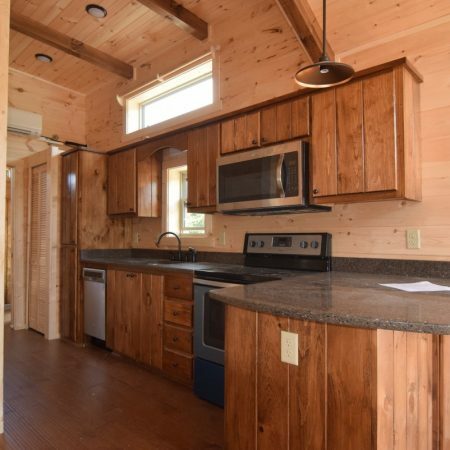 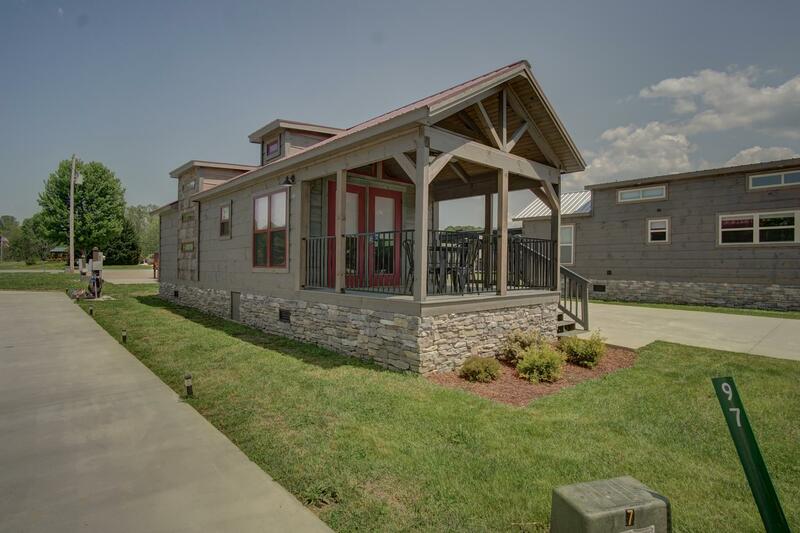 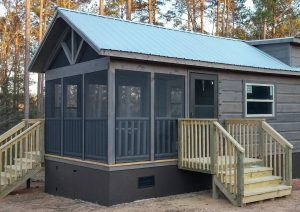 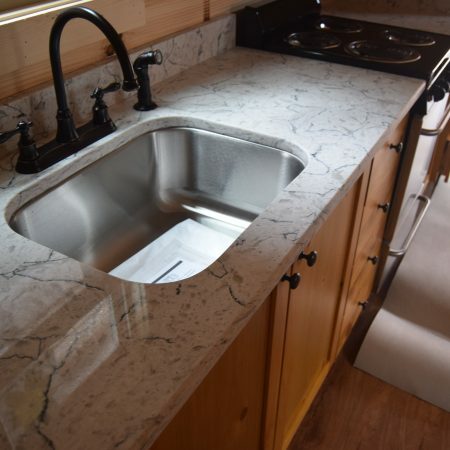 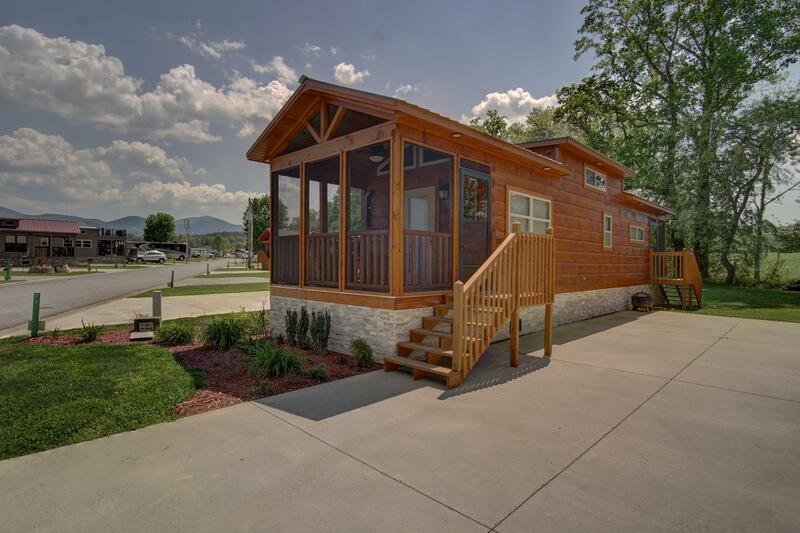 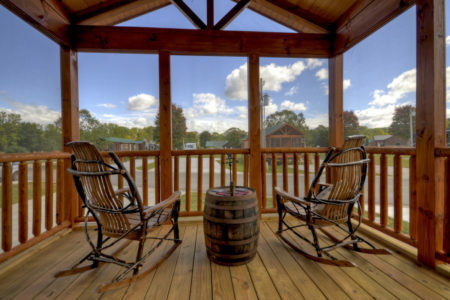 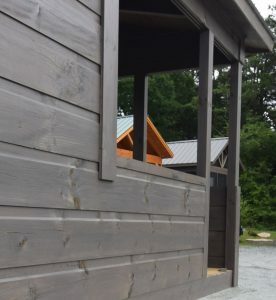 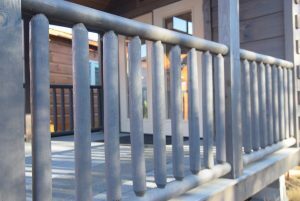 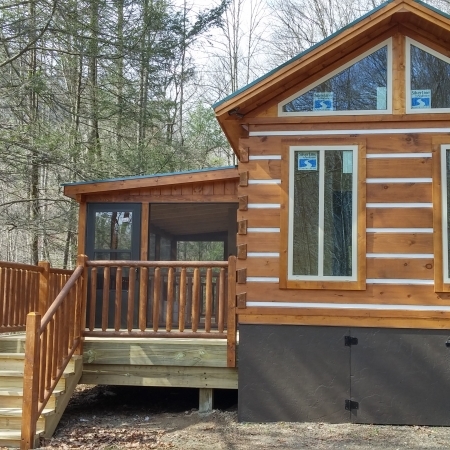 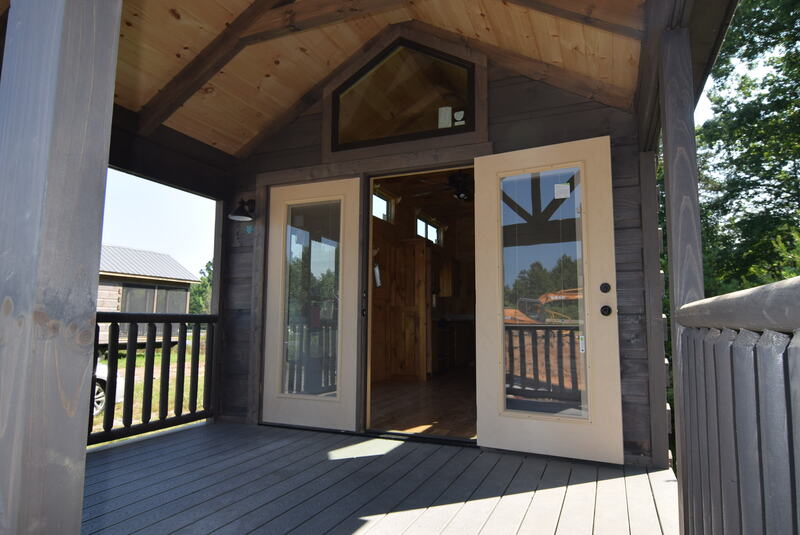 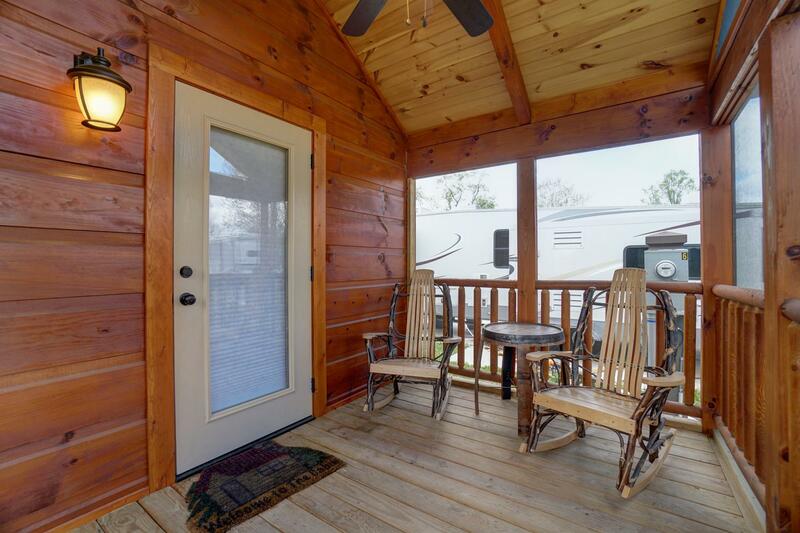 Our Log Cabin On-Frame Porch options include choice of rails made from Cedar Log railing, Black Aluminum rails, or stacked logs. 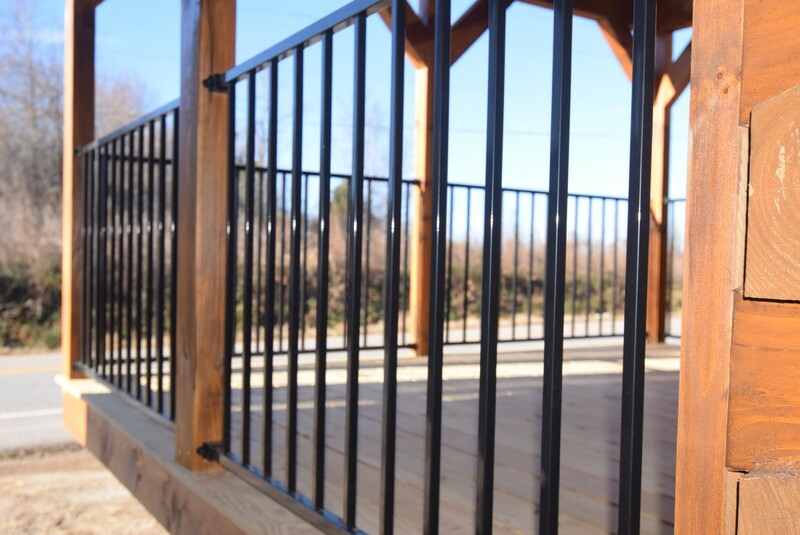 We can also screen the porch for comfortable outdoor living, including screening underneath the deck boards. 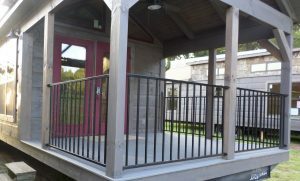 For extra living space, offer a Sunroom Porch on frame with Trex or pressure treated deck floor and under-deck screening. 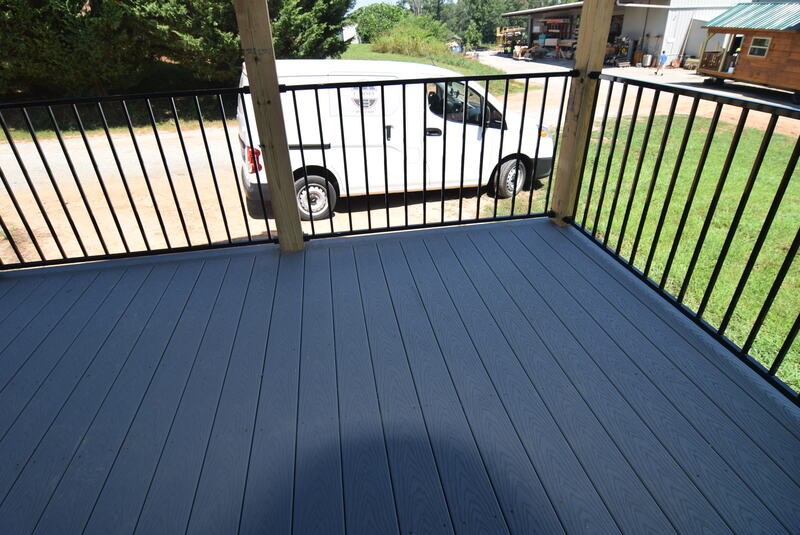 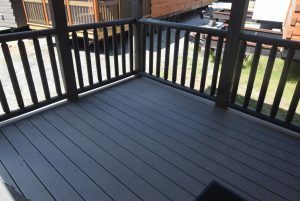 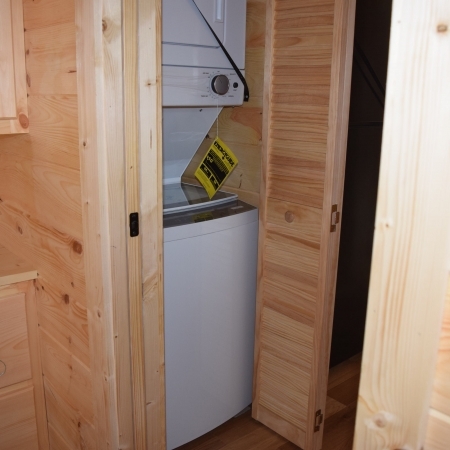 (Porch extentions start at $3,950.00 and include in all packages; Log rails, Ext. 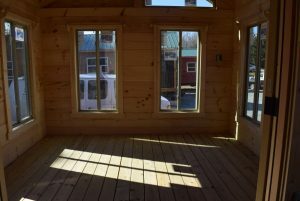 Fan and light outside receptacle.